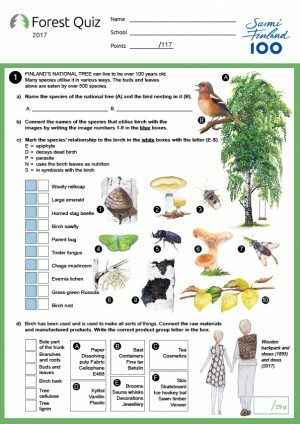 Teachers, please use Forest Quiz competition forms and model answers for teaching. 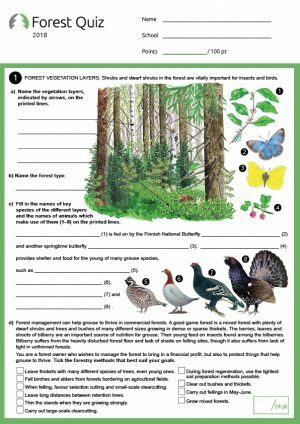 Let your pupils practise with them and learn about forests. 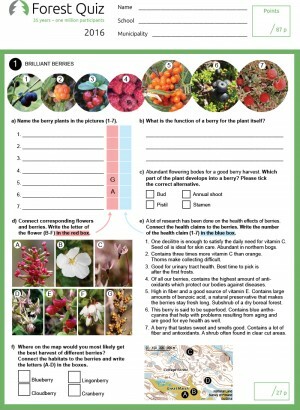 The same forms can be found in Finnish on Metsävisa internet web page and in Swedish on Skogsnöten web page.